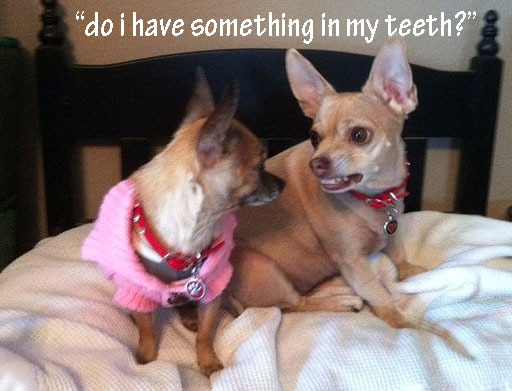 bailey unleashed .com: do i have something in my teeth? this picture of the girls just cracks me up. priceless. So funny and what a brilliant caption!